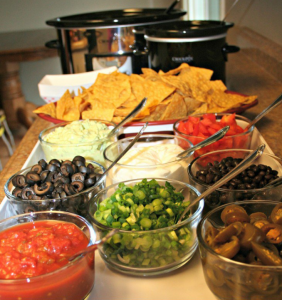 Moon Valley Grill Is Providing Complimentary Taco Bar From 4 to 4:45 p.m.
on Saturday, 1/28, before the Phoenix Suns Game Party Bus departs. The #17 Huskers face another Big Ten West rival this Friday against the Iowa Hawkeyes in Iowa City at 1:30 p.m. AZ time at Clancy’s Pub in Scottsdale. On 11/12, Iowa upset No. 3 Michigan 14-13! 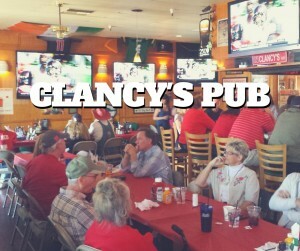 Clancy’s is a Midwest-oriented, neighborhood sports bar, grill & pizza place. 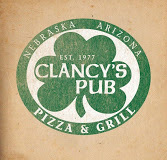 The original Clancy’s Pub was established in Omaha in 1977. Clancy’s Scottsdale has been one of our core watch-sites since our club was launched. Sometimes they make our beloved Nebraska Runza sandwiches, so ask if you love Runzas. 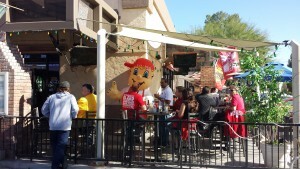 While it gets pretty crowded on game days, they recently added 50+ more seats by opening Clancy’s Jack Room right next door.